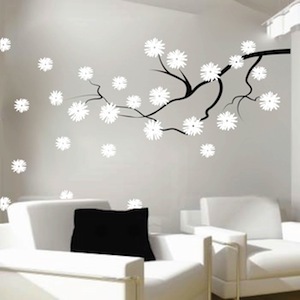 Make your inside wall feel like an outdoor paradise with the Contemporary Branch Flowers Vinyl Wall Decal! Have a blast brightening up your office. Create some memories with your kids while cheering up their room! The Contemporary Branch Flowers Vinyl Wall Decal is easy to install without the hassle of cleaning a brush, roller, or drop cloth when you’re done! Just a touch of fun is all you need to include! 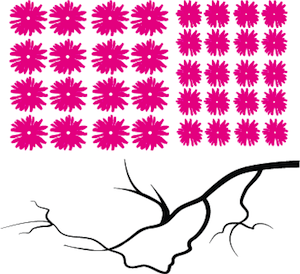 Includes 36 flowers (16 large and 20 small) Choose decal orientation, branch size, branch color, and flower color. After branch is installed, arrange flowers to your liking! Unlimited possibilities! Bought this decal for a placeholder while on the hunt for the perfect piece. Looks much better than I thought it would and might make it permanent. The decals are quality and relatively easy to use. Just bought a house and decided to work on one room at a time to get it how I want it to be so I bought this to spice up the guest room after I fixed it up and it looks great. 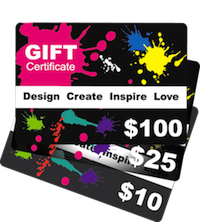 I will be buying more designs to spice up other rooms in the house as I tackle them. This was the first of many order to come. Looks great. It really is a lovely design. Having some freedom in the arrangement made me feel like I created something a little unique. I wasn't sure how this would look but it turned out better than I imagined. It's beautiful in the room. The room is small so I was hoping it wouldn't over power the small size but it just made it amazing!! Very pleased..! I just put this up in my apartment and I cannot stop staring at it. It looks really cool. I got the largest size and you get a lot for what you pay for. The flowers are so fun to apply after you put up the branch. They come on a huge sheet (2 different sizes of flowers) which I got to apply individually on and around the branch. I LOVE MY FLOWER BRANCH. I went w a black branch and cranberry flowers.